Exfoliating Cleanser: With damp hands, apply a small amount to dry skin. Gently massage using circular motions for one minute. Cleanse thoroughly, rinse and pat dry. Use AM & PM. Pre-Treatment Toner: After cleansing, saturate a cotton pad & smooth over face & neck. May be used AM & PM. 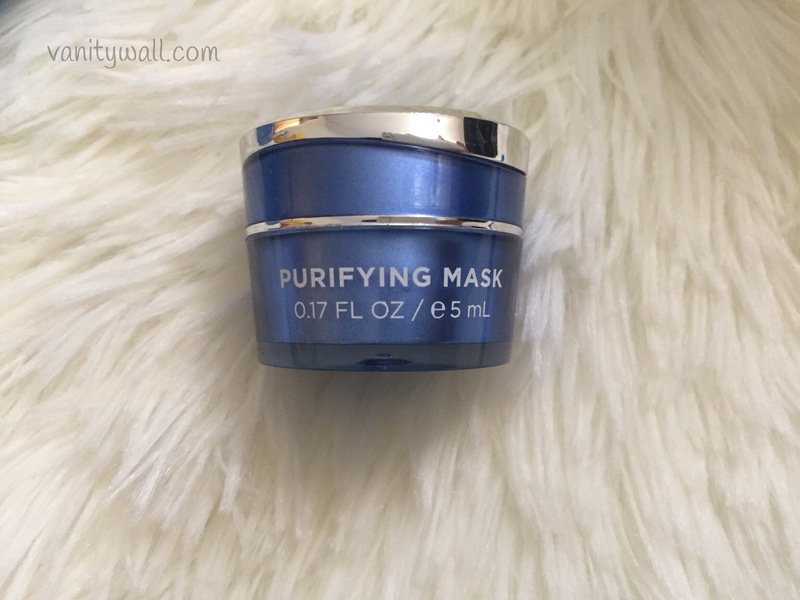 Purfiying Mask: Apply a thin layer to the facial area and let it set for 7-10 minutes. Rinse with water. Eye Authority: Use ring finger to apply 1/2 a pea-sized amount to the eye contour and above the crease of the eyelid. Use AM & PM. 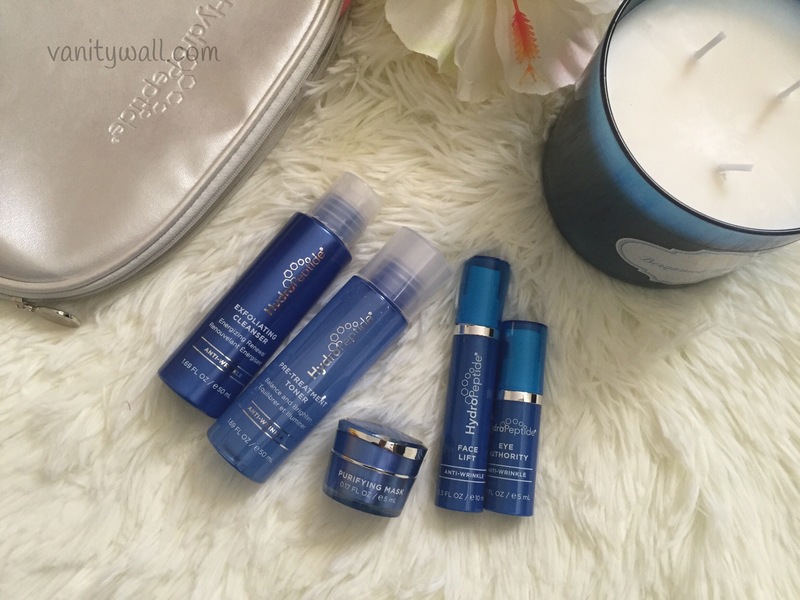 HydroPeptide purposefully combines clinical results with luxury experiences in every product. 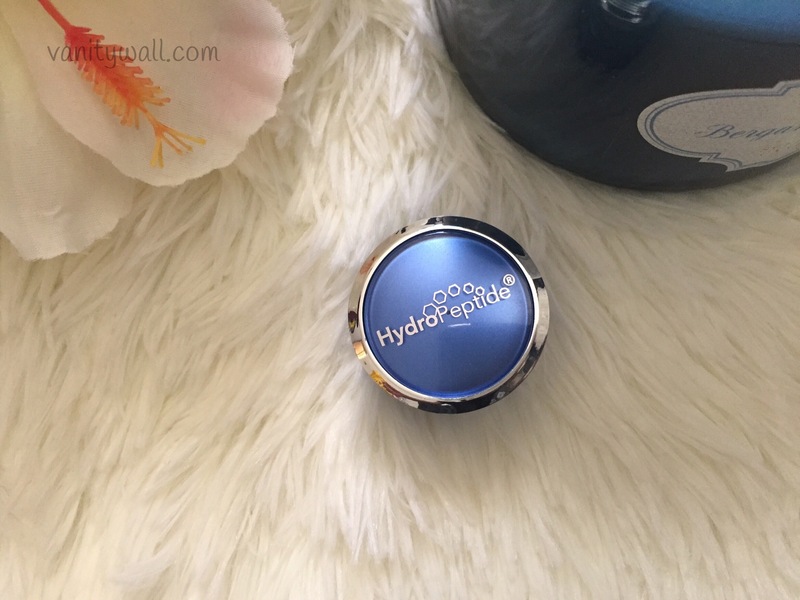 By combining hydration with the power of peptides and other actives, HydroPeptide uniquely combines science and esthetics to combat aging. Peptides are versatile in their ability to improve skin without negative effects, complement other anti-aging ingredients or replace harsh ingredients. HydroPeptide’s no downtime approach means no redness, irritation or flaking; just beautiful, glowing skin. HydroPeptide is paraben-, phthalate-, sulfate- and cruelty-free and the majority of products are free of synthetic fragrances, phenoxyethanol and gluten. Their exclusive peptide preservative system has allowed them to remove many controversial preservative ingredients. 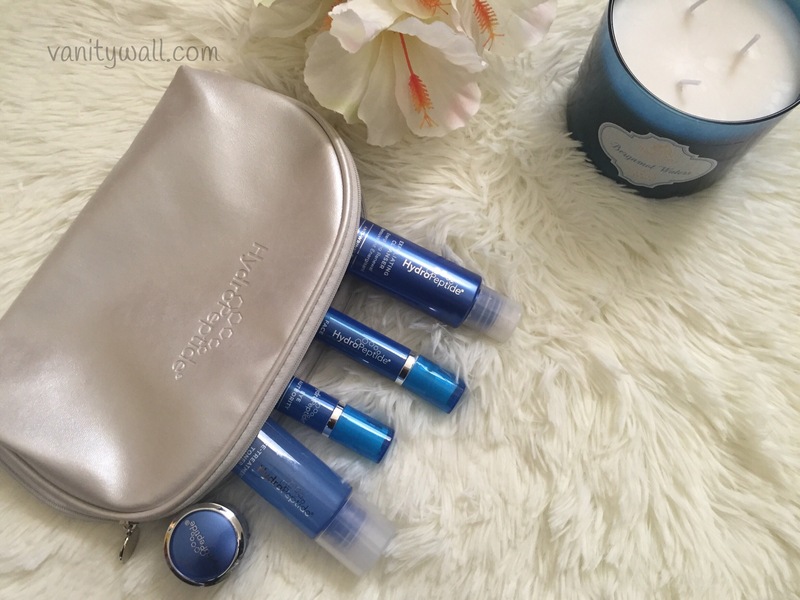 The cleanser has a gel cream texture with lots of non-coarse particles infused. These are jojoba beads that act as physical exoliant. It also contains 10% glycolic acid that act chemical exfoliant. This cleanser is very similar to Murad AHA/BHA exfoliating cleanser except for the fragrance. 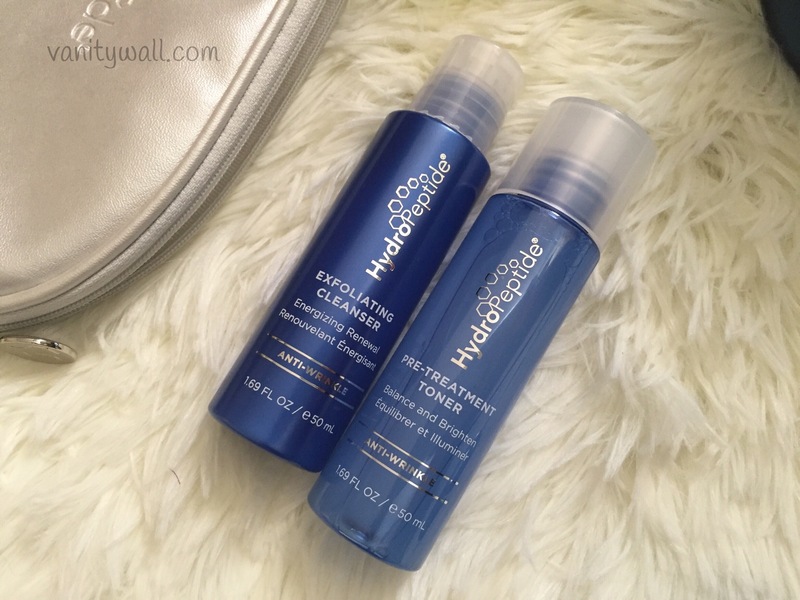 The Hydropeptide exfoliating cleanser has a citrusy fragrance. This is an excellent cleanser for reviving dry lack lustre skin. It rids off all the dead skin cells leaving behind squeaky clean skin. This toner comes with lots of good things. I was completely taken in by the 5% lactic acid content. It is also infused with mulberry, licorice and Vitamin C. All these ingredients are known to reveal brighter even toned skin with use. This toner is very light weight and absorbs quickly into skin. It doesn’t leave behind any film. A very creamy thick mask that is easy to spread onto the skin. You only need a thin layer. It gives of an intense cooling and minty feel which I like. The tingly sensation is not uncomfortable but it isn’t a breeze either. This mask is packed with bentonite clay and natural clay which usually dries up the mask and creates a tight layer on the face. This mask however remains smooth and soft which I like. I removed the mask after 10 minutes using warm water and a wash cloth. This is easiest way to get rid off the product I feel. Post rinsing, my face looked so much brighter and smoother. This is one of the best clay masks that would work for all skin types – especially for those who shy away from clay masks because of the drying tendency. Definitely one of the star products from the set. This is a lightweight moisturizer that is adequately hydrating. 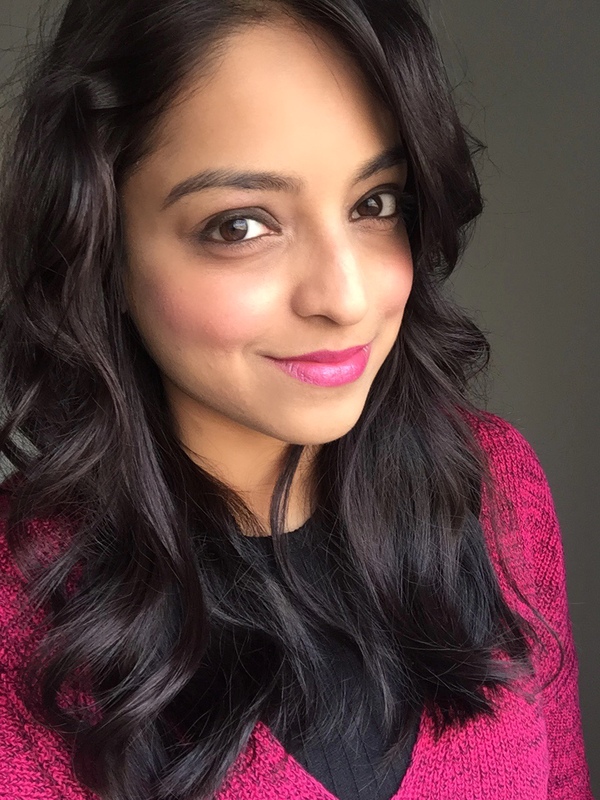 It worked like a regular moisturizer for me and keeps skin quite hydrated. It is too early to judge it for the long term benefits like better elasticity, brightness and de – pigmentation. 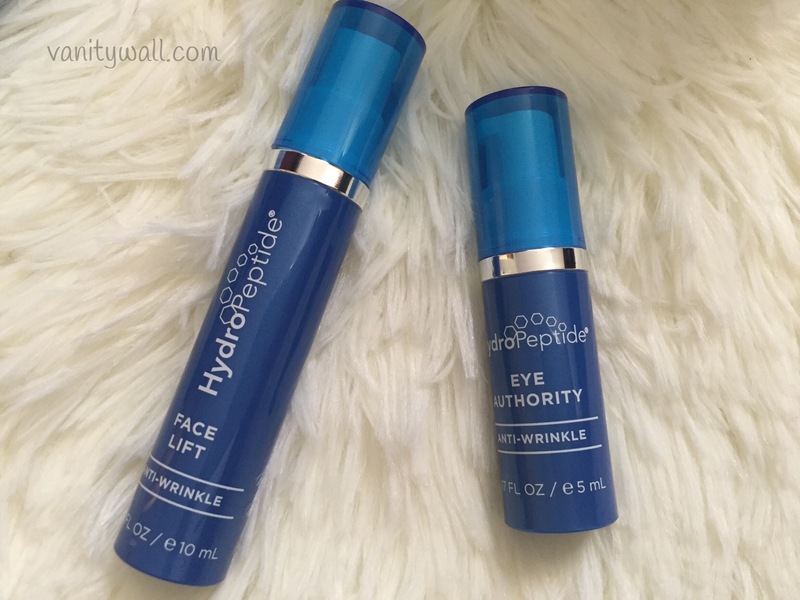 Looking at how well the other products in this line worked, I think with use, Hydropeptide Face lift would also come out as a winner. 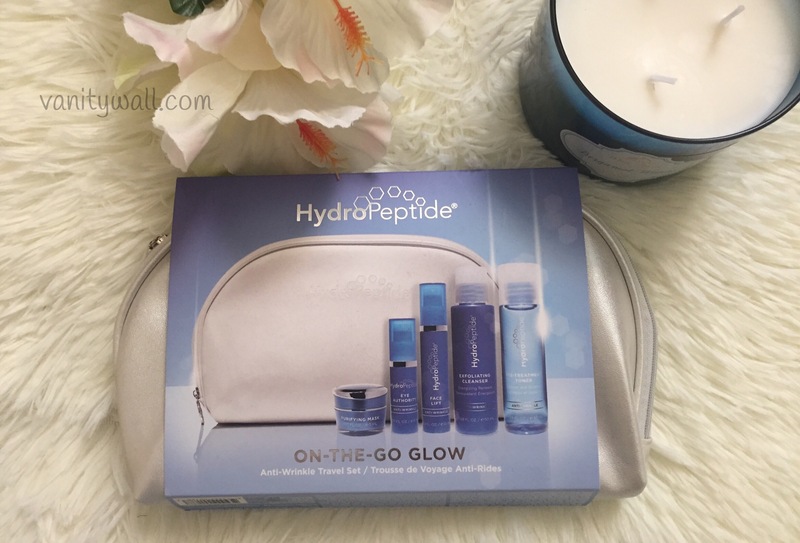 This travel set a pretty cost effective and easy way to try out Hydropeptide line which is an expensive skin care brand. 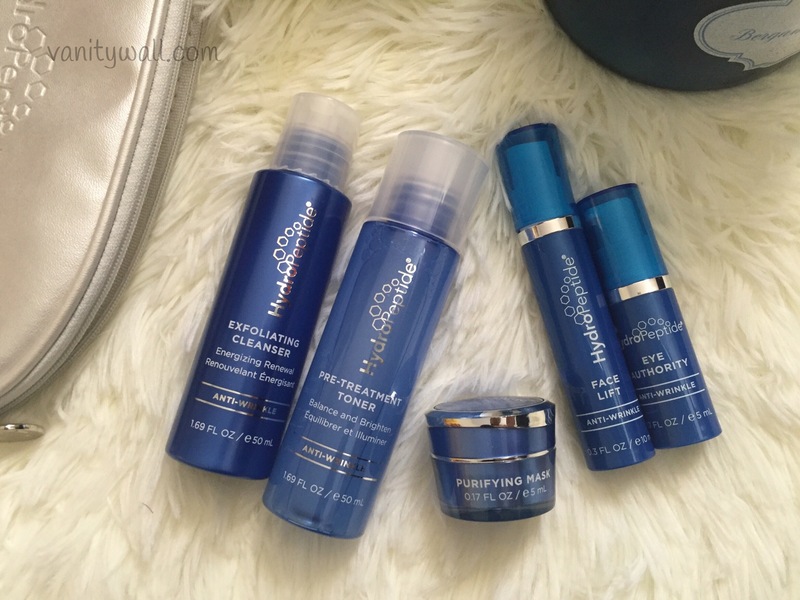 The cleanser, toner and mask are absolutely wonderful and I’d totally recommend them. Product sent by brand. Honest review as always.